There are probably other explanatory factors, such as increased parental distraction related to texting and smartphone use. 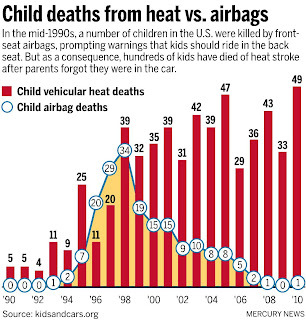 While the data doesn’t prove cause and effect, it’s certainly compelling. 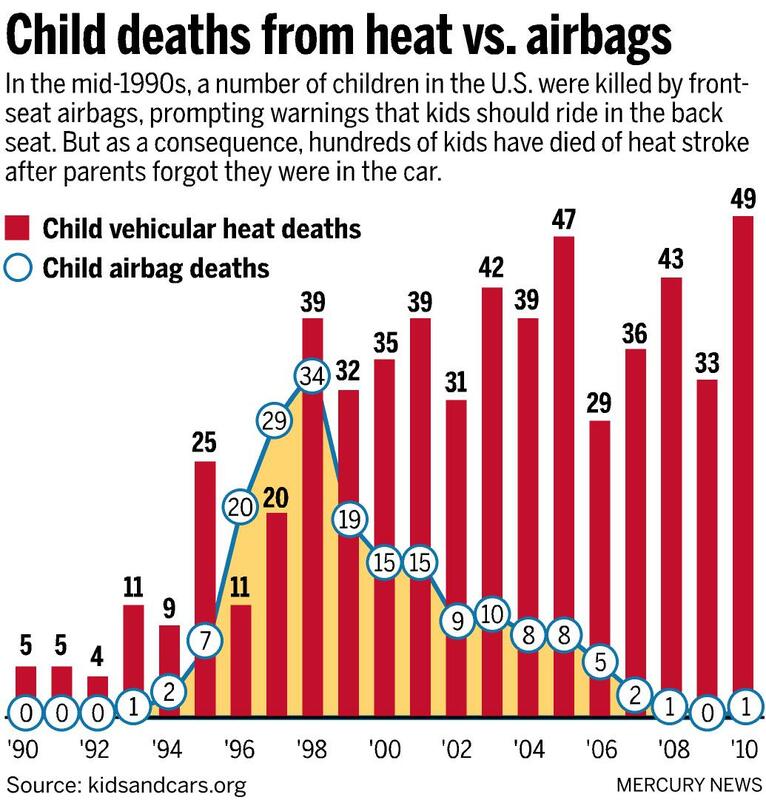 And with the recent recommendation that children be left rear-facing until at least 24 months, doesn’t it stand to reason that heatstroke deaths will rise even further? I'm Gonna Soak Up the Sun....NOT! 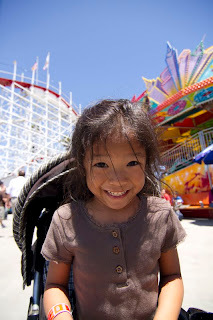 Our family spent the past weekend at the Santa Cruz Beach Boardwalk, and I came home with a stomach full of fried food and a sunburn on the nose. Luckily, I was more cautious applying sunscreen to the kids, so they managed to escape with nothing more than a deep tan (which I know is still bad for them). But what is the evidence to support sunscreen as a means of preventing skin cancer? The medical world has known for some time that sunscreen protects against squamous-cell cancer. But for melanoma, the deadliest form of skin cancer, the studies have been mostly inconclusive. Most studies were observational, meaning the researchers just asked participants whether they used sunscreen, and then looked to see whether they developed melanoma. The problem was that people who were the most prone to getting skin cancer – namely, the fair-haired, freckled folk with a positive family history – were the most likely to use sunscreen, thus confounding the results. After a prolonged wait, we now have data from a clinical trial showing that sunscreen use does indeed reduce the risk of melanoma – at least if you use it on a daily basis. The Nambour Skin Cancer Prevention Trial randomized over 1600 adults in Queensland, Australia to either daily sunscreen use or “discretionary” use, meaning the patients could choose when they wanted to apply their sunscreen. Australia has the highest skin cancer rates in the world, so it was an ideal population to study. Those in the daily group were given free supplies of broad-spectrum (UVA and UVB protection) SPF 16+ sunscreen and told to apply it to the head, neck, arms and hands every morning and after heavy sweating or bathing. Many went a step further and applied it to their trunk and legs – why not, if they were getting it for free? The trial lasted four and a half years, and by the end, the researchers could not find a statistically significant difference in the rates of skin cancer between the two groups. Fortunately, the investigators didn’t throw in the towel, knowing that the carcinogenic effects of UV radiation can take years. They continued to follow the two study groups, long after they stopped giving out free sunscreen. Turns out that a good portion of the daily sunscreen group couldn’t kick the habit, even after the negative results were published. Eight years after the trial started, the daily sunscreen group was found to have a lower rate of squamous cell cancer. Fourteen years after the start of the trial, the researchers published further findings in the January 2011 issue of the Journal of Clinical Oncology: The rates of invasive melanoma had dropped 73% in the daily sunscreen group. Finally, here was empirical evidence that sunscreen reduces the risk of melanoma. The catch? The absolute risk reduction was quite small, dropping from 1.35% to 0.37%, over the 14-year period. Now, a 1% absolute risk reduction is actually pretty darn good when it comes to cancer prevention. The real issue is the cost. The Journal of the American Medical Association recommends about 21 teaspoons be applied to the average adult for optimal coverage. Even if one of my children uses, conservatively speaking, only 10 teaspoons a day, an 8 oz. tube of Banana Boat Kids would last fewer than 5 days. At about $7.00 per 8 oz., that’s $539 per kid per year, for a minimum of 4 years, and that’s doesn’t include re-applications after water exposure! Ah, gummy worms. 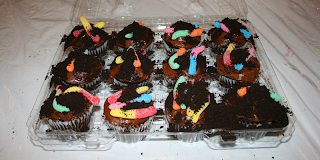 My two older children love making their “worms and dirt” dessert every year for the Halloween school fair. (Gummies + crushed Oreos atop chocolate cupcakes.) But imagine my surprise when I saw the teacher at Joseph’s daycare passing out gummy worms to all the 1-year-olds! Aside from being concentrated sugar bombs, aren’t gummies a choking hazard? Fortunately, she stopped handing them out when I pointed out the danger, but it got me wondering – what are the most common choking hazards in children? I’m constantly scooping Jojo out of the Lego Room, lest Darth Vader finds himself lodged in his airway. 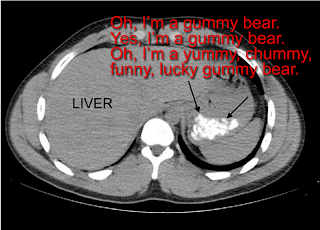 I started with a simple search for “gummy” on Pubmed, and got a respectable 158 hits. Turns out almost all of these papers were about the treatment of “gummy smile,” which sounds like the kind of smirk you wear when you’re trying to chew Bubbalicious surreptitiously. It’s actually a description of when a person flashes too much of his or her upper gums, vampire-style. Not that this has anything to do with choking, but FYI, gummy smile can be treated with Botox or a medieval procedure called “miniscrew anchorage.” I also uncovered a case report from the Journal of Emergency Medicine (they have the craziest cases in there!) about a patient with abdominal pain who had an abnormal CT scan after ingesting a bag of gummy bears from the hospital gift shop. I don’t think they ever uncovered the official cause of his abdominal pain, but maybe the hospital should stop selling gummies? So there it was – candy. There wasn’t a breakdown of what kinds of candy were implicated, but that was enough for me to keep the worms out of Joseph’s reach, at least until he’s old enough to start going to Halloween school fairs.